A complete drug design software. Computes the binding free energy of a protein-ligand complex. Computes the binding free energy of a metalloprotein-ligand complex containing zinc. Calculates the Drug-DNA interaction energy. 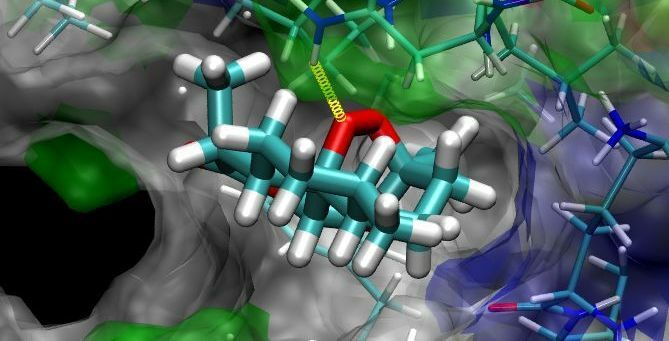 Predicts the binding mode of the ligand in receptor target site. Predicts 10 binding sites in a protein target and docks the uploaded ligand molecule at all 10 sites predicted in an automated mode. 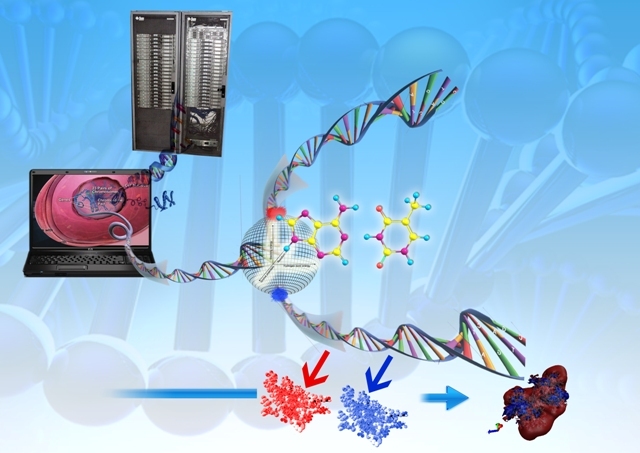 Virtual high throughput screening of small molecules and their optimization into lead- like candidates. Checks whether a drug satisfies the 5 Lipinski rules. Generates double helical secondary structure of DNA using conformational parameters taken from experimental fiber-diffraction studies. Rigid Docking predicts the binding mode of the ligand in the minor groove of DNA. This tool is useful for calculating Wiener index. This tool is useful for preliminary screening of ligand molecules based on physico-chemical properties of the ligand and the active site of the protein. This will predict binding energy of drug/target at a preliminary stage. This tool is used for assignment of partial atomic charge of small molecules.